Funeral services for W.O. 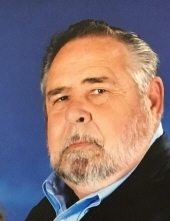 Gunstanson, Jr., 70 of Murchison have been scheduled for 11:00 A.M. Tuesday, February 5, 2019, at Autry’s Carroll-Lehr Funeral Home with Rev. Donald Thomas officiating. Burial will follow at Red Hill Cemetery in Murchison. Mr. Gunstanson passed away Friday evening in Athens. He was born March 16, 1948, in Athens to the late William Owen, Sr. and Lydia Mae Malone Gunstanson. He graduated from Brownsboro High School in 1966 and received his Bachelor of Science in Industrial Engineering from UT Arlington. W.O. was the owner and operator of Gunstanson Construction Company in Dallas for 45 years. He played semi-pro football in the North Texas Football League and served as Commissioner from 1980-1989. W.O. had a passion for genealogy research tracing his Norwegian roots back to 1725 originating from Gjovdal, Norway. He was a fifth generation Texan whose 3rd great grandfather had arrived in Texas with the first Norwegian immigrants in Normandy, Texas in 1845, near today’s Brownsboro, Texas. Through many years of genealogy, he discovered several ancestors buried at the Norwegian Cemetery in Brownsboro. He had assisted and shared his knowledge and expertise with several genealogy associations in Henderson County, Kaufman County and Bosque County. Mr. Gunstanson was preceded in death by his parents and brother, David Gunstanson. Survivors include his wife of 50 years, Dana Gunstanson of Murchison; daughter, Amanda Smith and husband Jeremy of Garland; grandson, Jacob Smith and fiancée Tessa Jara of Garland; granddaughter, Ashley Smith of Garland; sister, Diann Touchon of Murchison; brothers, Jesse Gunstanson and wife Michelle of Athens, Gene Gunstanson and wife Vicki of Athens, Jere Gunstanson and wife Debra of Athens; half-sisters, Jan Gunstanson of Terrell and Nona Rosa and husband David of Carrollton; step-mother, Ida Gunstanson of Terrell; and numerous nieces and nephews. Pallbearers will be Shannon Phillips, Andy Gunstanson, Michael Gunstanson, Jason Gunstanson, Cameron Touchon, and Zachary Denison. Honorary pallbearers will be the Brownsboro Class of 1966. Visitation for family and friends will be held Tuesday prior to the service from 10-11 A.M. In lieu of flowers memorials may be made to Red Hill Cemetery Association, P.O. Box 123, Murchison, Texas 75778. "Email Address" would like to share the life celebration of William Owen Gunstanson. Click on the "link" to go to share a favorite memory or leave a condolence message for the family.